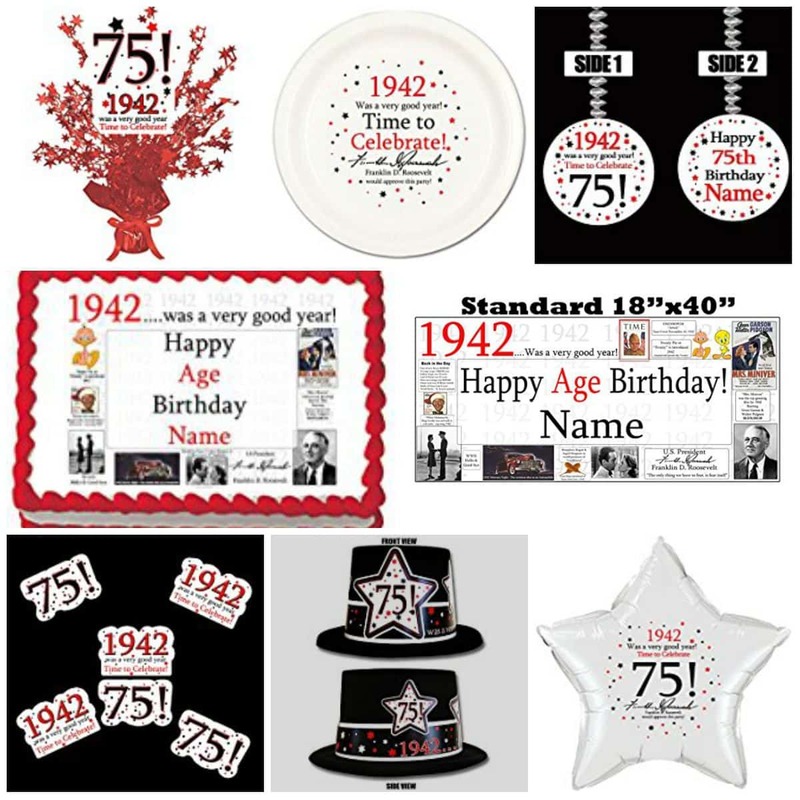 Looking for a sure-to-impress 75th birthday party theme that’s also very easy to put together? Then this is the perfect party idea! You can order all the party supplies you need for this theme at Amazon. They offer everything from yard signs to banners to confetti to matching plates and napkins - it's so easy to design a stylish and fun party! The colors are primarily red, black and white, so it’s easy to add solid color accessories if you’d like – which is a great way to save a bit of money. You could also do this theme on your own, using whatever colors you’d like, or embellish the theme further. The People History is an easy way to find out cost of living and historical trivia about what life in 1942 was like. Need the perfect present for this theme? Check out our ﻿﻿﻿The Day You Were Born Gifts﻿﻿﻿ to find unique presents that highlight the newsworth events of the recipient's birthday!